Arthritis is a condition that causes inflammation and cartilage loss within the joint. There are several types of arthritis, the most common type, osteoarthritis, or wear-and-tear arthritis, occurs commonly in the joint at the base thumb. Arthritis of the thumb usually occurs at the joint found at the base of the thumb, where the thumb meets the wrist. This joint called the carpometacarpal (CMC) joint or the basilar joint, is important when trying to grip or pinch. Thumb arthritis is more common in women than men and increases in frequency over the age of 40 years. Pain when opening jars, turning keys, etc. By examining your thumb, your doctor can usually make the diagnosis of basilar arthritis without any special tests. An x-ray will show the extent of arthritis. The x-ray may also offer some indication of how successful nonoperative treatments may be in your situation. Most people who have arthritis in the thumb report that their symptoms are worsened by activities, particularly repetitive activities. People who work with her hands, such as manual labor is, or even people who enjoy activities such as knitting or woodworking may notice pain at the base of the thumb as they continue their activities. Many people with this condition find themselves rubbing or massaging the base of their thumb in order to relieve the discomfort. Anti-inflammatory medications - A simple anti-inflammatory medication is often a good first step in the treatment process. You should talk to your doctor to discuss the safety of these medications, and the appropriate dose. 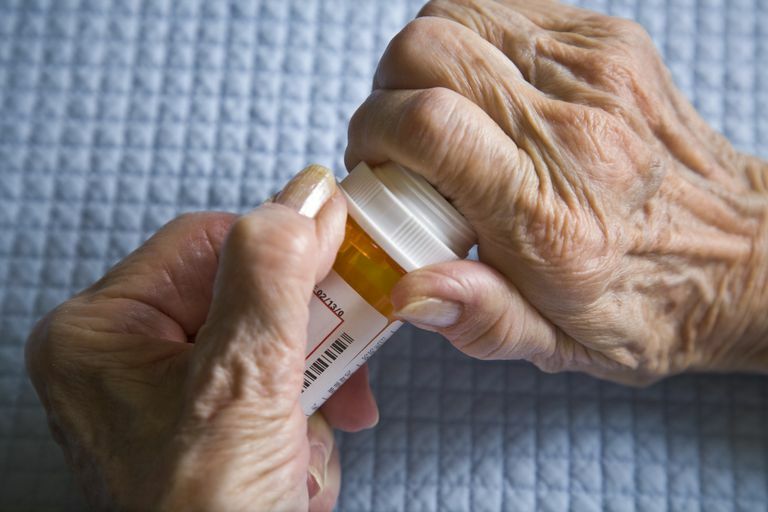 Often, these medications can relieve symptoms of thumb arthritis. Thumb abduction splints - A splint can rest the arthritic joint, and relieve the inflammation associated with thumb arthritis. The splint should be worn during activities that aggravate your symptoms. The thumb abduction splint is the simplest brace to use for this purpose, but in patients with more severe symptoms, a more significant brace may be needed. In these patients, a thumb spica brace is appropriate. The thumb spica brace is more supportive of the thumb but more awkward to use in your daily activities. Cortisone injections - A cortisone injection places a powerful anti-inflammatory medication directly at the site of arthritis. This injection usually provides quick relief of symptoms, but the symptoms may return over time. Surgery can be a helpful treatment for patients with severe thumb arthritis. The usual surgical treatment is to remove the arthritic bone, relieving the pain and inflammation of the worn-out joint. There are different surgical procedures to accomplish this goal. In some situations, your surgeon may choose to replace the removed bone with a tendon graft, with an artificial implant, or with nothing at all. Alternatively, your doctor may consider fusing the joint, to eliminate all motion at the base of the thumb. The good news about surgery is that in appropriately selected patients, surgical treatment of thumb arthritis is very successful. Patient satisfaction with surgical treatment is about 90-95%, meaning most patients feel very good after surgical intervention. There are potential complications of surgery, including infection, nerve injury, and persistent pain. Talk to your doctor if you want to know more about the surgical treatment of thumb arthritis. Sometimes these conditions can mimic the symptoms of arthritis of the thumb, and they can also coexist along with arthritis of the thumb. If you were diagnosed with some arthritis, and her symptoms do not seem to be responding appropriately to treatment, your doctor should evaluate for other potential causes of pain. Sometimes these other conditions may need treatment in order to alleviate your symptoms of discomfort. If the pain is still not improved, and other conditions do not seem to be the source of your discomfort, it may mean that the treatments provided are not adequate to relieve your condition. In that case, more invasive treatments may ultimately become necessary. Arthritis at the base of the thumb is very common; in fact, thumb arthritis is the most commonly diagnosed arthritic joint in the body. While the symptoms of thumb arthritis can typically be managed with simple treatments, this is a very common location in the body to be diagnosed with the degenerative joint disease. Most people will respond well to simple treatments for their thumb arthritis. In people who do not find relief with simple treatment steps, there are surgical options to address this condition. Van Heest AE, Kallemeier P. "Thumb carpal metacarpalarthritis" J Am Acad Orthop Surg. 2008 Mar;16(3):140-51. How Are Common Finger Injuries Treated? Who Is at Risk of de Quervain's Tenosynovitis?